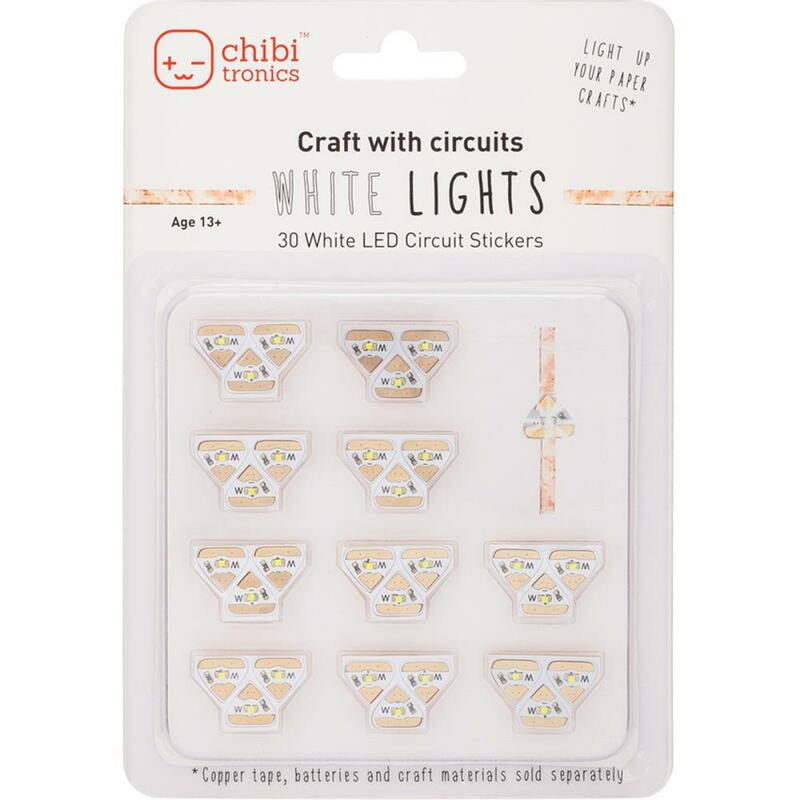 Bring a glow to any sticker-friendly surface with Chibitronics. Light up art, walls, clothes, school projects and more! This 4.875x7x.25 inch package contains 30 white LED circuit stickers. WARNING: Choking Hazard- small parts. Not for children under 3 years. Recommended for ages 13 and up. Imported.